I have been very inspired by the classes we run during our summer schedule where we have one evening class of 1 ½ hours – with everyone training together. This creates a great training atmosphere, and provides the opportunity for all our members to train with each other – with all the levels mixed together. I have decided to use this concept for our regular training schedule. 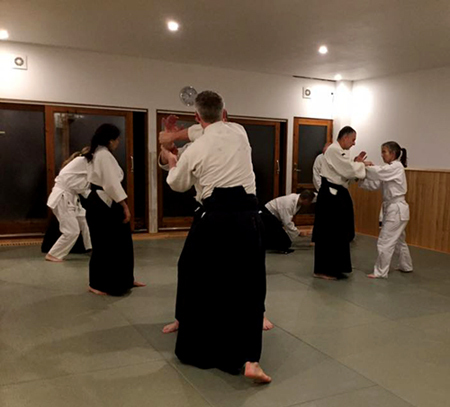 The regular schedule includes a separate bukiwaza class before the evening Open Class as well, to ensure that we keep up our Aiki Ken and Aiki Jo training throughout the year. 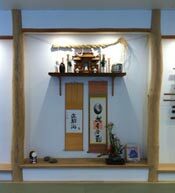 Shuren Dojo is now able to provide two early morning classes per week – Mondays and Wednesdays, from 07:30 – 08:30. This allows people to get their Aikido training in, and still make it to work in time. I’m very grateful for the instructor group that provides the training for these classes. I look very much forward to starting this new schedule. I’m sure that it will create great energy in the classes and on top of that also provide us with the opportunity to engage socially after the evening classes with all the members of our Dojo. I look forward to seeing you all in the Dojo again! For aikido practitioners (non-Shuren Dojo members) wishing to take part in a single training session there is a DKK 50 mat fee, which is to be paid at the dojo.